You are currently browsing the archives for the tag 'super250 x maison mollerus'. At the moment, the World Economic Forum (WEF) in the Swiss Alpine town of Davos welcomes its global elite with only 22% female participants attending the event. Female empowerment starts in daily life. If we as women all supported each other like men do, we would be so much more powerful. Today’s look is dedicated to three amazing women that I am very lucky to call my girlfriends and that inspire me on a daily basis. 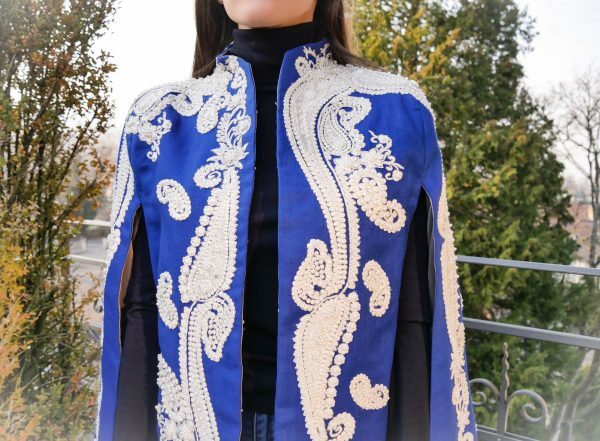 The cape I am wearing is by London-based designer Nadya Shah, a Central St Martins graduate who brings Victorian embellishment into the now with her fabulous collection of statement outerwear. Trophy jackets or ultra stylish capes are her signature pieces that you can find at Moda Operandi for example. 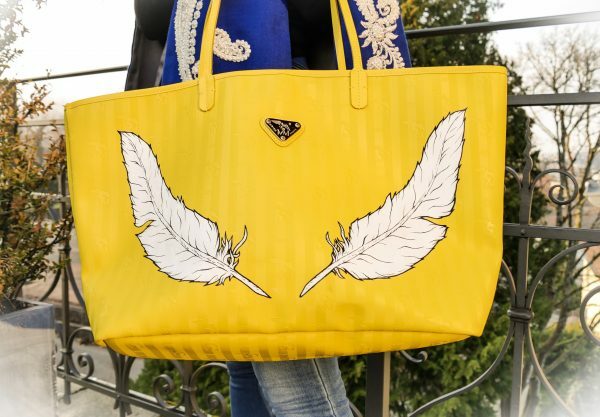 The shopper is by Maison Mollerus in collaboration with the artist Super250. My friend Mimi Mollerus took over the family business, that her father Ernst founded 30 years ago, in 2011. Since then, she further developed the well established bag brand into a modern company. 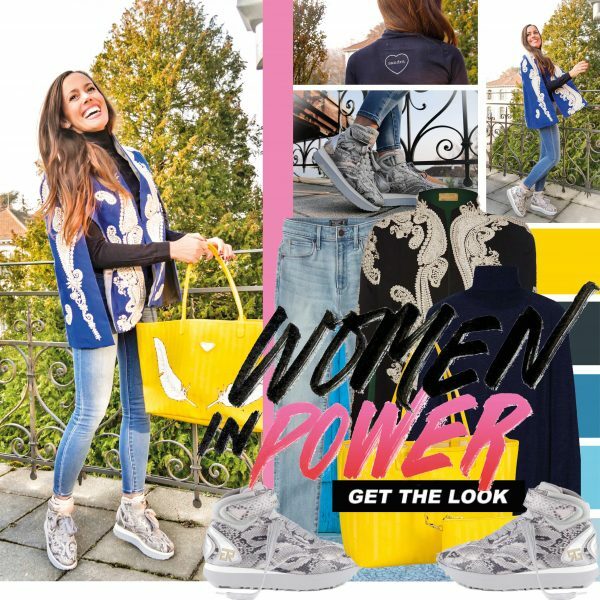 Thanks to my friend Annette Zierer, who has her own PR company Zierer Communications in Munich, I discovered Giulia and Romeo, a young German shoe label that is vegan and ethical. 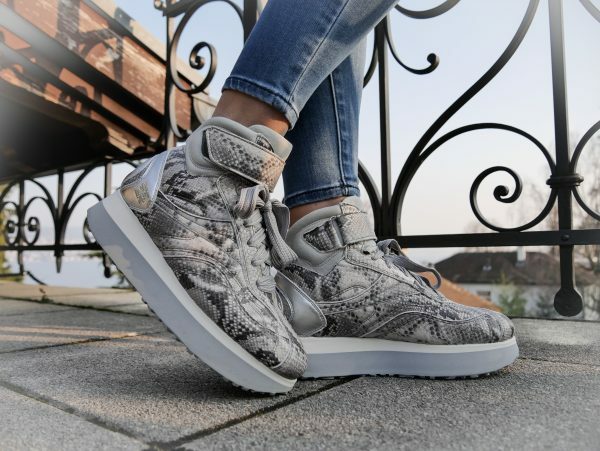 With the purchase of their faux leather footwear, you automatically support animals in need as the brand donates the complete net proceeds to animal welfare organizations and animal aid projects. My look: Paisley victorian cape by Nadya Shah, dark blue ultra light cashmere turtleneck with personalized embroidery by Falconeri, high rise super skinny ankle length jeans by Abercrombie & Fitch, Vinerus lemon shopper by Super250 x Maison Mollerus, and high top trainers by Giulia and Romeo. Make a friend happy. Isn’t a personalized sweater such a cool idea to surprise someone you like? !